Every year in Australia, there a more than 250,000 dogs and cats being euthanised, we are referring to healthy dogs and cats that couldn’t have been rehomed simply because there were not enough people to adopt them, these animals are known as the unwanted pets of Australia. Animal welfare groups are pointing the finger at commercial breeders and smaller backyard breeders for contributing towards the problem by oversupplying. Another main contributor towards the problem is commercial pet shops, selling puppies and kittens in a market where many dogs and cats are waiting on death-row. The lack of regulation on breeding only encourages puppy and kitten farmers, some environments in which the animals are forced to live in are disgraceful whilst other environments meet the minimum requirement and therefore is legal. Throughout the past three years, the RSPCA has conducted multiple raids on the puppy farming industry; one property in New South Wales was found to have 180 dogs living in despicable conditions that included being surrounded by faeces and dead puppies. 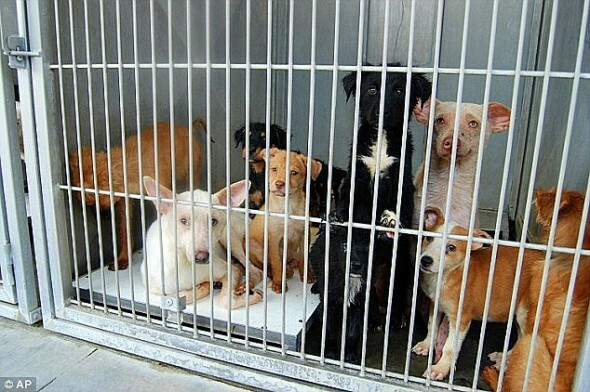 Often breeders do not care about the animal’s welfare and are in it to make a profit; they would advertise to sell the puppy or kitten and would meet at public locations so the buyer is not able to see the filthy living conditions. The Pet Industry Association of Australia states that retailers are buying their animals from reputable breeders and controlling oversupply by offering animals that have been vaccinated, microchipped and desexed. Others disagree, advising that the pet industry is making the situation worse by supporting puppy and kitten farming, exporting them around the country when they are less than eight weeks old only to be displayed in front shop windows. How can you save a companion on death row? Council pounds all over Australia receive many companions weekly who have been abandoned or surrendered. The council is legally required to hold an animal for 7 days without microchip and 14 days if microchipped in New South Wales, for other states the hold time is 3 days without a microchip before being killed if a rescue group doesn’t take it. Many pounds are not open to the public and viewing can only be organised through the council. PLEASE call your local council and ask/insist for information about animals in their pound needing a home. Please persist and keep calling, your next best companion animal could be there.